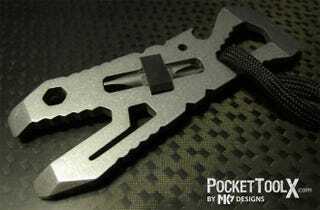 Can You Figure Out All the Uses for the Piranha Multitool? When it comes to multitools, you can never have enough functions and the Pocket Tool X Piranha really takes that thought to heart. I can't even figure out half the things it's supposed to do. Can you? OK, What 7 Things Can The Gerber Shard Multitool Do?